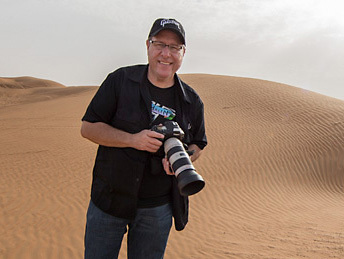 Scott Kelby demonstrates how the Learning Light works, utilizing different lighting styles and set ups. He will discuss diffused vs. hard Lighting, how to use lighting patterns and Gobos, how to set up for split lighting, as well as broad and short lighting styles. Create a cool fashion shoot on a budget! Join Scott Kelby as he shows you how you can pull together a high-end looking fashion shoot on a low-end budget. Scott takes you step-by-step through the process of building a set, re-creating window light with a single speed light, shooting a variety of looks, and all the while sharing money saving tips and tricks that you can put to use on your next shoot. Throughout the class you’ll learn resources for acquiring sets and clothing, how to prepare before the shoot, what gear you’ll need, how to set the lighting, and so much more. Scott wraps up the class with a look at his streamlined post processing workflow. You don’t need a large budget if you can be resourceful, clever, and creative. Dave Clayton has been fascinated with good design since he was a child, but there is much more to Dave than just being a graphic designer. In this in-depth interview with Kalebra Kelby, Dave opens up about his personal side in a way we’ve never seen before. In this interview you’ll hear Dave share stories about how his family, friends, and mentors have opened him up to the opportunities and experiences that have made him who he is today. Plus, you’ll love hearing the story of how he met his wife. Sit down with Kalebra Kelby and meet Melanie Kern-Favilla! You may recognize her as the winner of our second Gallery at KelbyOne contest with her beautiful floral work. And now she is sharing her wide-array of knowledge with you! In this in-depth interview, Melanie opens up about her job as a train engineer for the Long Island Railroad, her husband and two dogs, and of course, her passion for photography. Would you ever guess that her fascination with thunderstorms would lead her to where she is today? She loves everything nature and her perseverance to always keep going and improve her creative side is motivating and inspiring. We are so excited for you to get to know her and welcome her to the KelbyOne family! If it’s been more than six months since you’ve updated your portfolio (like it has been for me), then let’s make this “Update Your Portfolio Weekend” and give our port the refresh you’ve been meaning to give it for month (and then on Monday, I’m hoping you’ll post links to your updated portfolio site so I can check them out). Now, if you’re reading this thinking, “Well, I’m out, I don’t even have a portfolio” then you’re in luck, because chances are you subscribe to some Adobe subscription plan, and if you do, that means you get access to “Adobe Portfolio” for free, which is an amazing awesome, and easy, templatized site for getting your portfolio up and running in about an hour. Well, Adobe Portfolio (found at myportfolio.com) is a part of your Adobe subscription plan but you know what I mean — you don’t have to pay extra for it — the Web hosting is already included in your plan, too, so there are no extra costs at all. It’s free with your Adobe Creative Cloud subscription). If you want some step-by-step help on how to set up your Adobe Portfolio for the first time, I did a full class on it, and I take you through the process (it’s super-simple), and you’ll have a portfolio up and running fast. So that’s our weekend assignment. I’ll be updating my port, too, and we’ll all meet back here on Monday to share links. Deal? Deal. Have a great weekend everybody, and here’s to freshened-up ports! Join Ramtin Kazemi in the heart of the Canadian Rocky Mountains to learn how to create timeless landscape photographs! In this class Rammy teaches you his approach to scouting locations, camera settings, gear, composition, and the importance of getting into the right location for a truly unique perspective. The weather doesn’t always cooperate with your plans, so you need to be flexible and ready to roll with the conditions. Rammy wraps up the class with an in-depth post processing session that takes his photos to the next level. Learn advanced techniques for processing your landscape photos with Ramtin Kazemi! In this class you’ll discover Ramtin’s workflow, from start to finish, for taking a raw photo from scratch through to being ready to print or share online. Ramtin takes you step-by-step through his techniques for creating vertical panoramas, color adjustments, luminosity masks, selective contrast adjustments, adding atmosphere, and so much more!